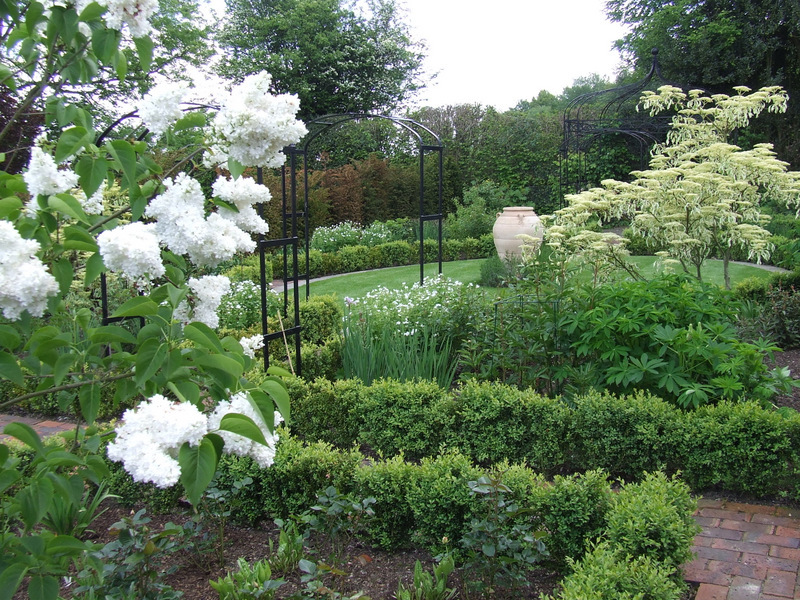 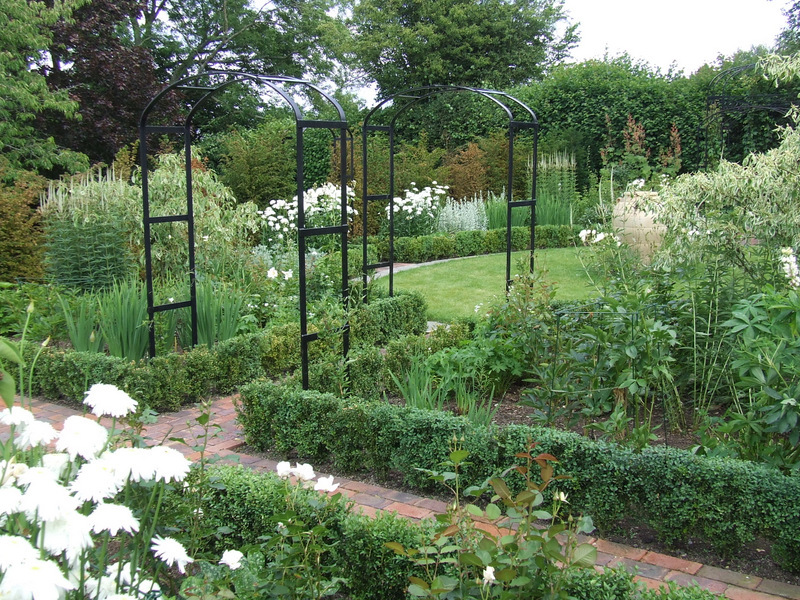 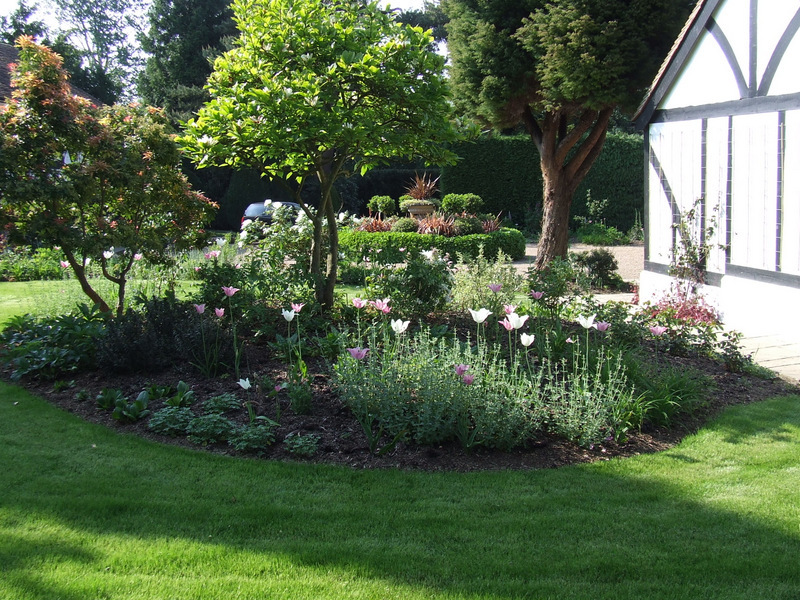 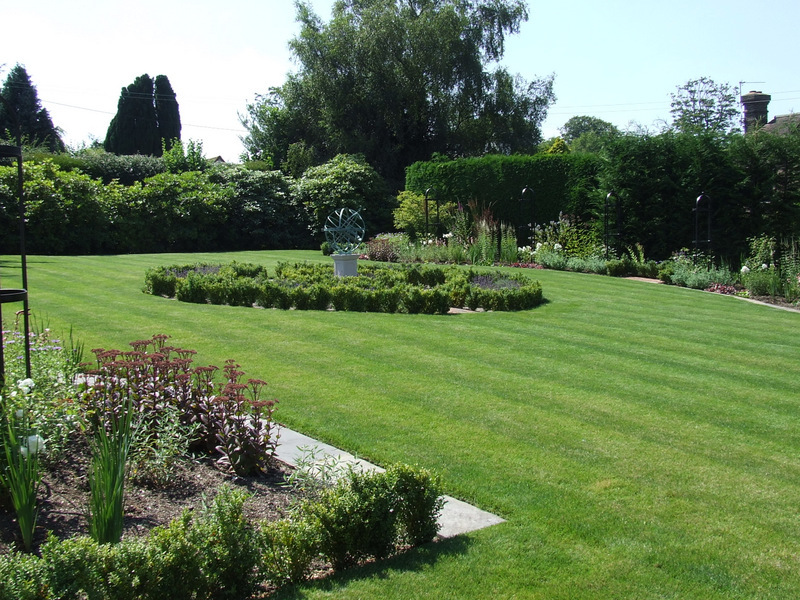 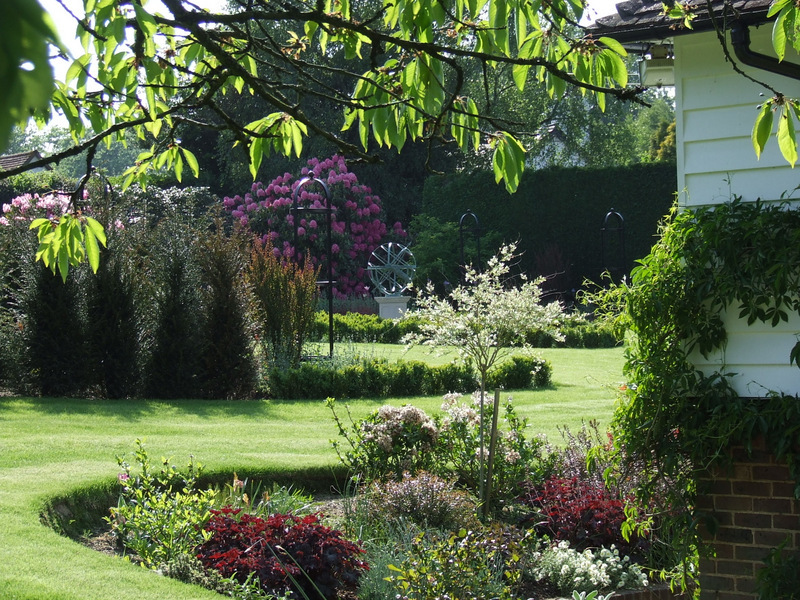 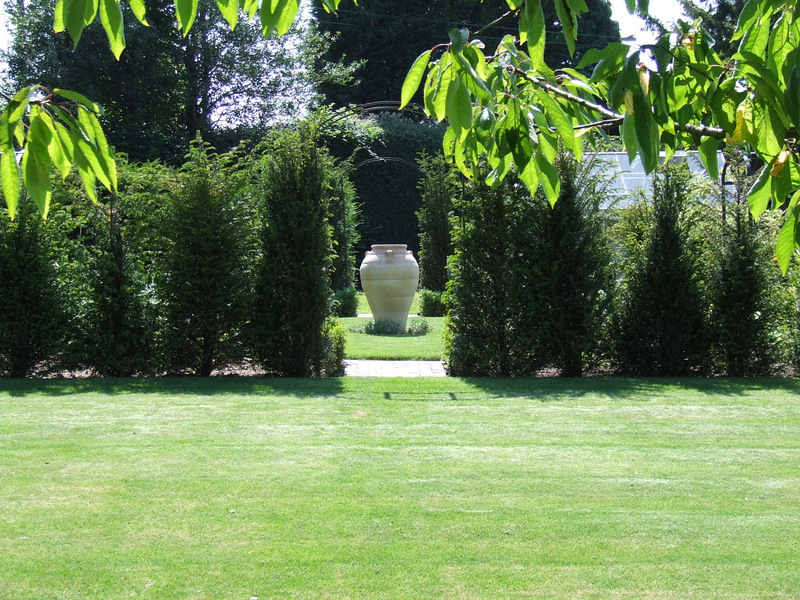 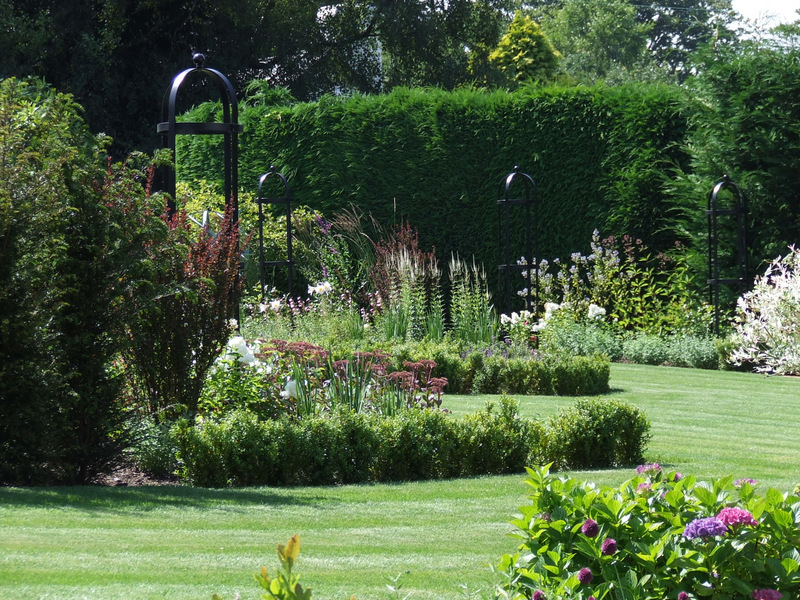 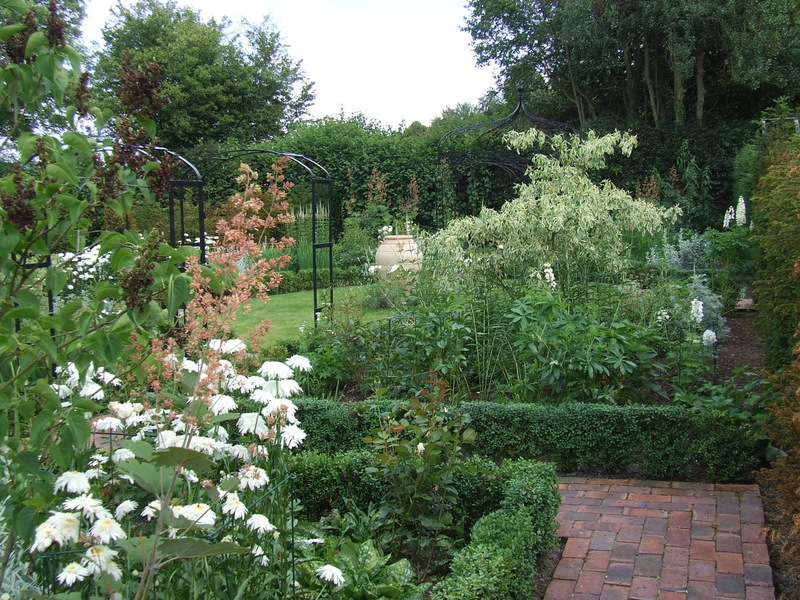 This garden is a traditional garden with elements of formal clipped hedges dividing the garden into rooms, and box hedging creating evergreen frames to the planting. 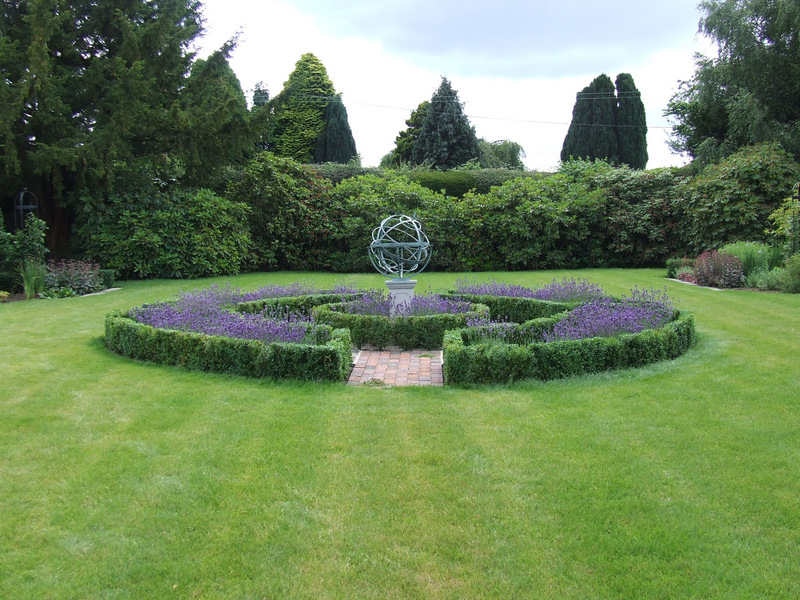 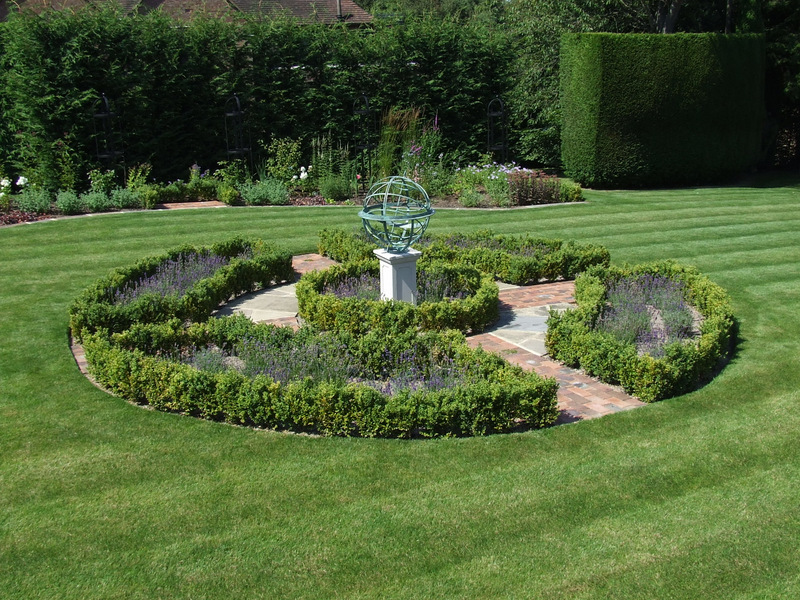 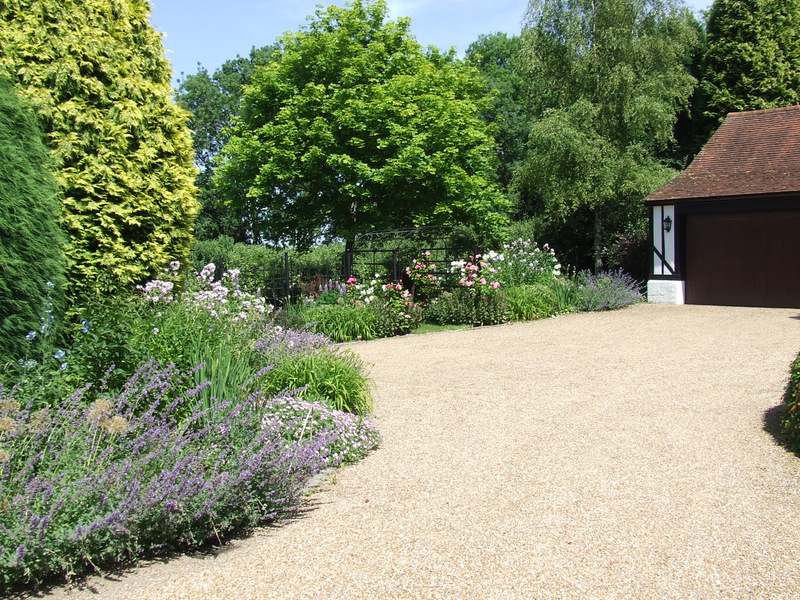 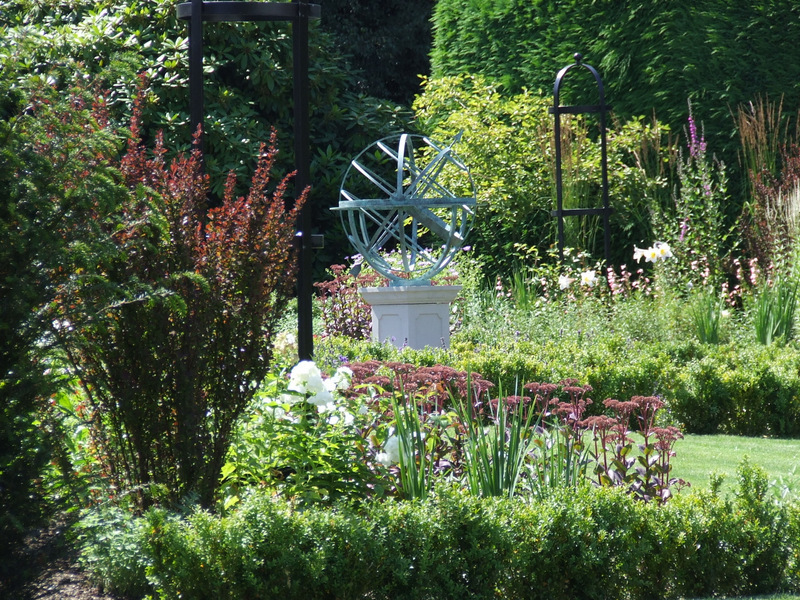 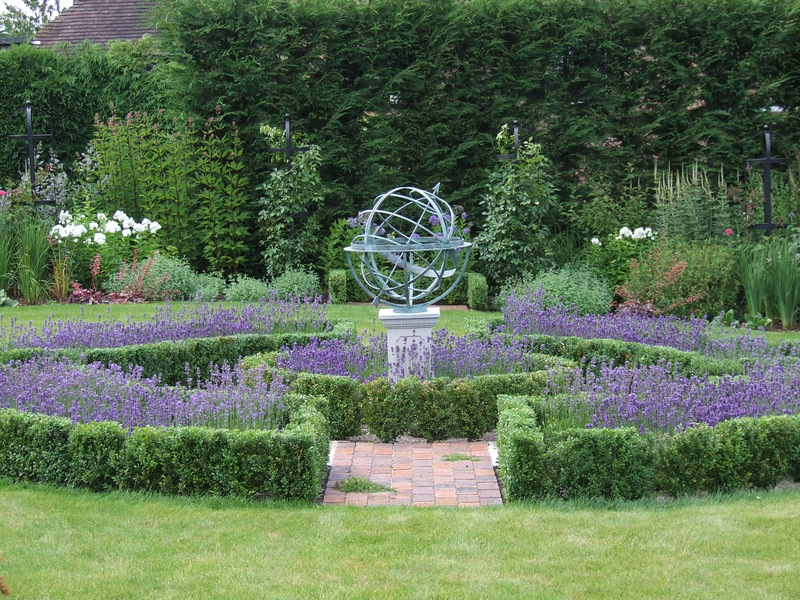 The client’s love of the white garden at Sissinghurst was the inspiration for their own white garden and the David Harbour sundial was incorporated to create a strong focal point with a haze of lavender flower around the base. 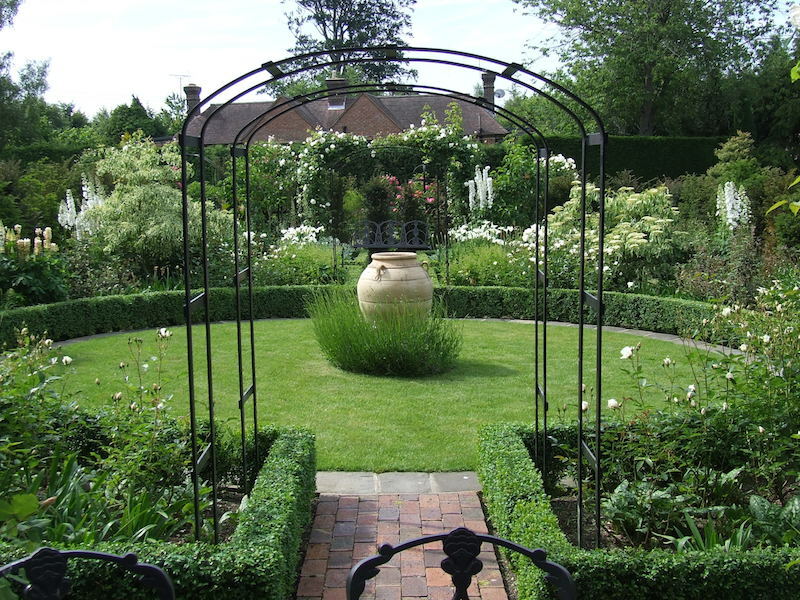 Climbing roses have been trained around the obelisks in a spiralling form to encourage maximum flower buds. 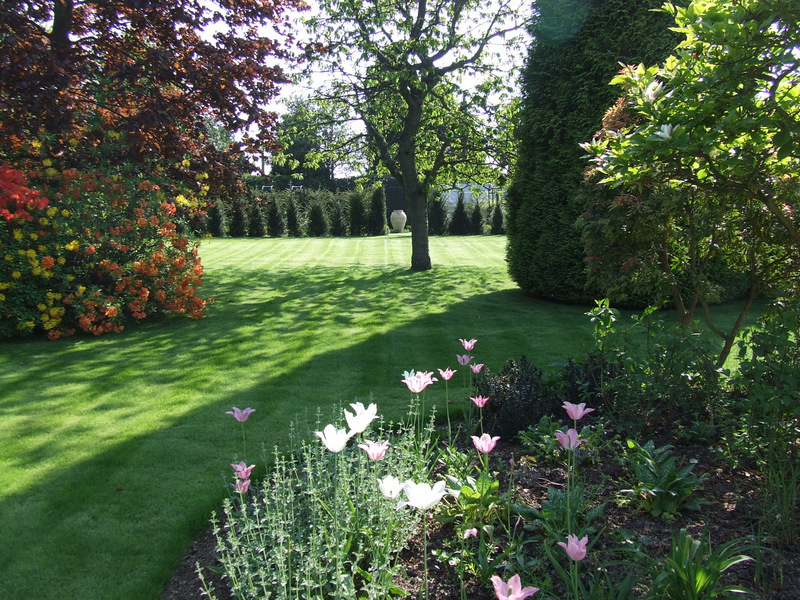 These are pillars of pink and white during the summer months.